Are you looking for the most efficient yet most affordable waste removal service in Elizabeth Bay? Then look no further! Blue Heeler Bins is at your service! For all your waste removal requirements – industrial, residential, deceased estates, renovations, yard clean-ups and recyclables – there is only one trustworthy place to go to in Elizabeth Bay! Our services include skip bin hire for all your waste removal needs. You can rest assured that when you order a skip bin from Blue Heeler Bins, you will get the skip bin of the exact size that you ordered – not larger, not smaller. We pride in providing exactly what you request. We can provide you with bins and crane bins of different sizes that you can choose from. Bins with gates, too, are available. We also have a crane truck available to place bins practically anywhere for those tricky jobs. So now you can manage your garbage and dispose of it with the utmost ease! Our company is 100% Australian and locally owned, and more importantly we have over 20 years’ experience in the business! Therefore you have nothing to fear and can trust us for the most professional job! We are big enough to be fast and reliable, but not so big that you lose that personalised service. We treat each of our customers with the greatest care and respect, as you deserve the best service that your money can get. Our service area is quite vast so we can provide you with our service wherever you are! 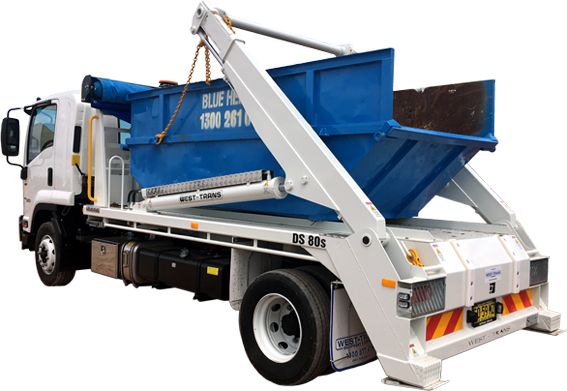 To get the best waste removal service in Elizabeth Bay, call Blue Heeler Bins today on 0418 238 210 (mobile) or 1300 261 041 (phone) or send us a message on our official website and we will get back to you as soon as possible.